By identifying the limitations inherent in using spreadsheets in the annual budgeting process, this Prophix action paper will help Finance professionals explore ways of honing budgeting procedures. The result: Finance professionals can devote time to those activities that enrich their business and personal lives. 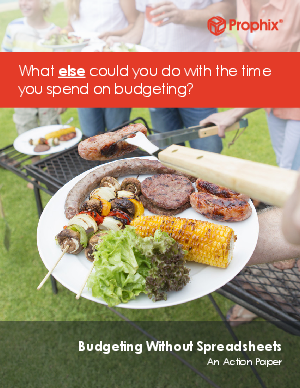 Because there is so much more you can do when you reduce the time spend on budgeting.